We got Fable on the puppy truck early Sunday morning without mishap. She was excited to go and started up the steps before it was our turn. Once in her assigned kennel on the truck she was more interested in saying high to the female lab across the aisle and male golden retriever next to her than in saying good-bye to us. No surprise there. 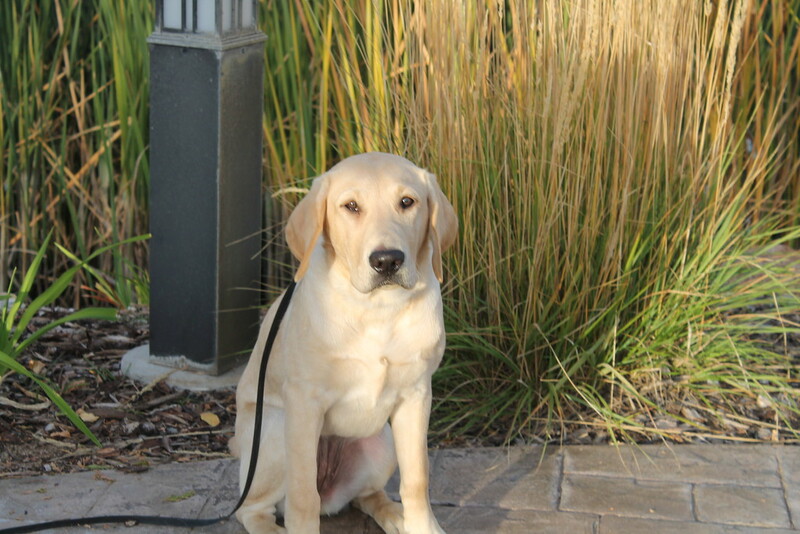 Our friend and fellow puppy raiser came to say good-bye to Fable on Sunday and took some beautiful photos of Fable just as the sun was coming up. The big surprise that day was Galaxy’s reaction. She went with us to drop Fable off and we walked the beautiful trail by the hotel before hand. Galaxy seemed fine until we got home from church. When we got inside she stopped abruptly on the landing and just stood there like she didn’t know what to do with herself. She is adjusting and I’m learning that Fable did a great job of keeping Galaxy entertained. She has gotten herself into a bit of trouble in situations that she handled with ease while Fable was here. 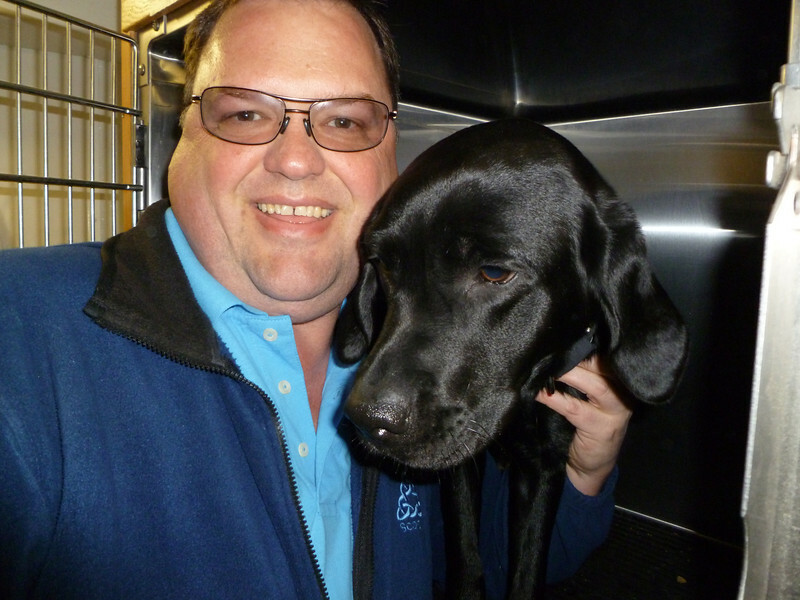 We got word that she arrived safely on the campus for Guide Dogs for the Blind in Boring, Oregon on Monday. Then we just had to wait for Thursday’s phase report to come out and hope that Fable’s name was on it. It was with the expected “0” in the phase column. Phase zero is all about adjusting to campus life and medical screenings. 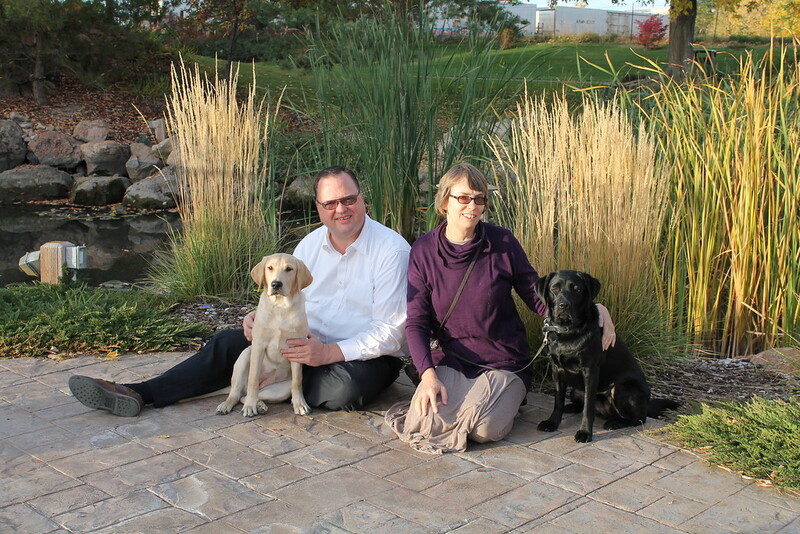 It can be a big adjustment to go from living in a puppy raisers home to the kennel environment. But GDB works hard to make them comfortable and happy. They get walks and play time with other dogs and kennel enrichment activities that could be anything from bubble machines to flavored ice and other tasty things. I’m off in post schedule this week. I blame it all on these puppies. I’ve decided I don’t much like the two-day overlap. I’m sure it will be good but it is emotionally much harder. The key is to remember that next time I end up with 5 or 6 months with two dogs. I think two months would be perfect but with wanting a certain letter that makes it difficult to pull off. Maybe one of these times. Anyway, we put Emma on the puppy truck to San Rafael, California today. The way I was feeling this week I thought I might get really emotional when the time came to do it. But today, I came to terms with it and saw that some things would be easier in training Fable with just one dog in the house. We had a busy morning with other commitments but I got in a quick walk with Emma before we left to meet the truck. I think that helped too. As expected Emma was super excited to be there and see the other dogs. There were a couple of dogs transferred from Colorado for the High School program and four dogs recalled for training, I think. By the luck of the draw Emma was the first one to go on the truck but she got the upper kennel right behind the driver’s seat. She will like that, because Emma will be able to see more of what is going on. Emma was more interested in the dog treats she got for being in the kennel than saying good-bye to us. She is off on her big adventure. I think they drive to Elko today and stop for the night. Then finish the trip to San Rafael tomorrow. They are probably picking up more recall dogs along I-80 as they go. The house is quiet without her here. It is always that way when a puppy leaves. But she is close to my heart and I’m excited to see what path her life takes from here. We won’t hear anything until it is decided that she won’t be a breeder or that she has passed all the preliminary tests for breeding and they are awaiting final tests to decide. I’ll update here when we get some news on Emma. 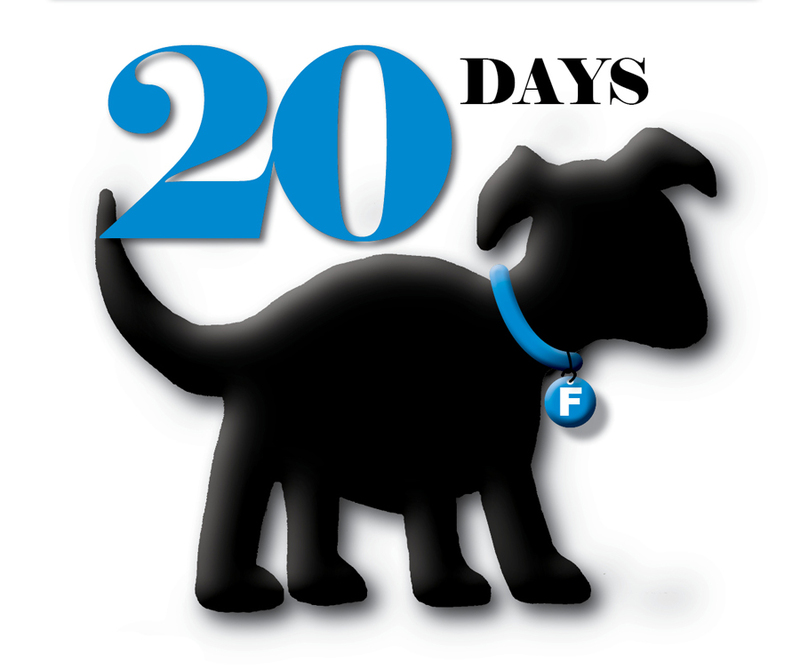 Just 20 days until our new “F” puppy comes. Here is the current list of names from the naming contest. It is an impressive list of names. But there is still time to add your suggestions. Additions don’t have to be unique. This is also about guessing what her name will be, so you can “vote” for a name already on the list. If I’ve failed to credit you for a suggestion let me know and I’ll add your name to a suggestion. I see a couple that I don’t have anyone down for suggesting (oops). Emma had her official eval today. It was planned for Liberty Park but the rain moved it to PetSmart. She has a hard time with pet stores so she wasn’t on her best behavior. She was super sniffy and some distracted. But she did fine anyway and she is on the September recall. So she will be leaving in 22 days for San Rafael, California. 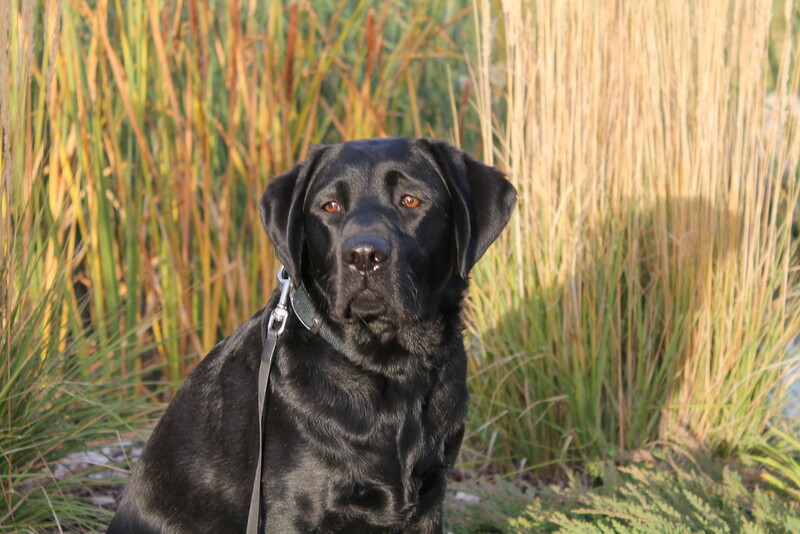 Our pups usually go to Boring, Oregon but for some reason this recall is for San Rafael. 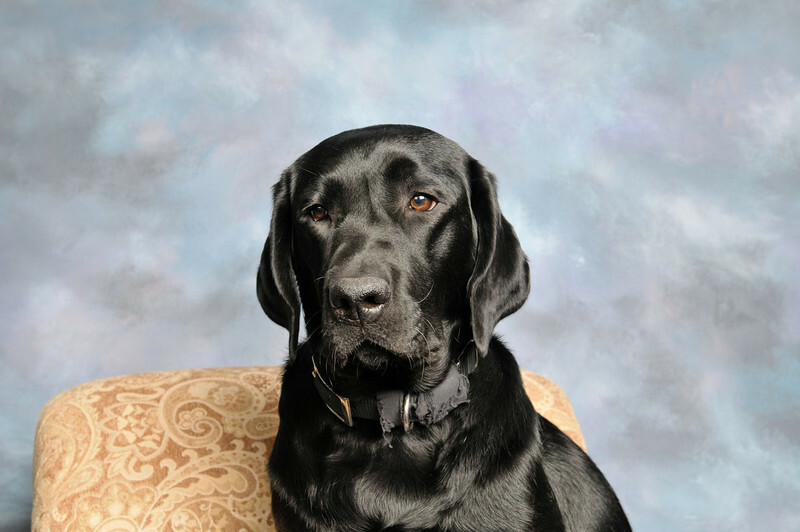 Banta was our only other pup to be recalled to San Rafael. While I’m excited to see what Emma decides to do with her life, I was hoping that she would be around for a few weeks to mentor miss “F”. But she is ready, more ready than Dune or Zodiac where. So there will be just two days of overlap between the new puppy and Emma, the time it takes for the puppy truck to go to Colorado and drop off baby puppies and then return picking up grown-up recall dogs. I need to take lots more photos of Emma over the next 3 weeks and see if I can get her puppyhood book done to send a digital copy along with her on the puppy truck. Oh my, there is always so much to get done. Yikes! I’m sure they would like her end of project report asap too. Most of all we are going to miss that sweet little girl. I’ll just have to enjoying everyone of the next 22 days. We got up at 5 a.m. on Monday morning to get Yakira to the puppy truck on time. The drop off spot is about an hour from our home and they leave the first thing in the morning, after breakfast and walking the dogs already in their care. We like to get there early enough to help the puppy truck drivers walk the dogs. It seems to help make the process of sending off a puppy a little easier. There is a nice little walking path by the hotel where the puppy truck stops for the night. After all the dogs were walked it was time for all the new recall dogs to get on the truck. There were three dogs that morning and we went first. The puppy truck has two tiers of kennels and Yakira ended up on the top row. She got a large dog biscuit upon getting in to help make the kennel a more positive place. We said our last good-byes and took the last photos. The puppy truck drivers patient all the raisers. No one is rushed but no one takes unfair advantage of the situation either. 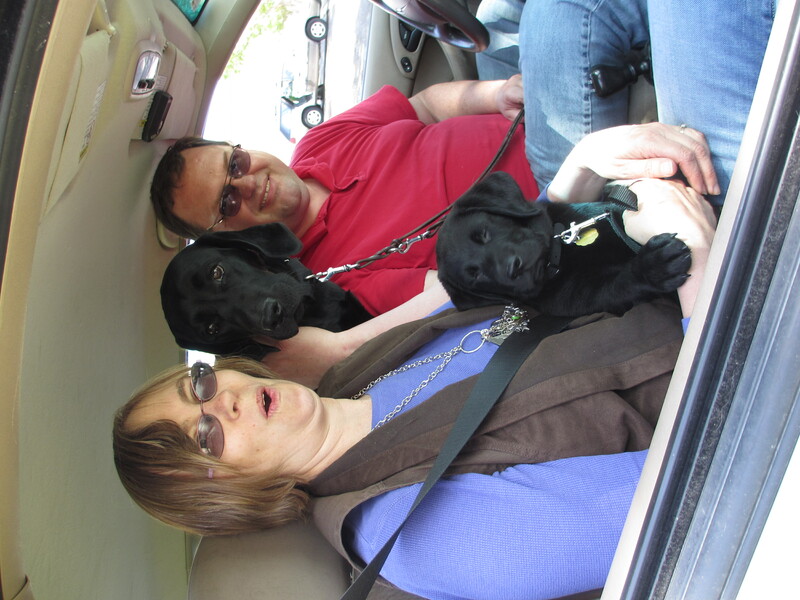 The puppy truck stopped Monday evening in Meridian, Idaho and finished the trip to Boring, Oregon and the Guide Dogs for the Blind campus there on Tuesday. We don’t expect to have any news on Yakira for a while. I think at this stage if we get news too quickly it probably won’t be good. Casey was dropped from breeder evals in just a couple of weeks. Banta was in breeder evals for months. We got some news after about a month and a half that she was in the last stages of breeder evaluations. We all miss our sweet and gentle Yakira. But Zodiac is taking it harder than I expected. We are puppy sitting a four-month old yellow lab named Tim. I thought that would be enough to keep Zodiac from being too sad but it has worked. There is a sadness in his eyes and he doesn’t have much interest in many of the things that usually attract his attention. It seems the bond between Yakira and Zodiac was even stronger than we knew. This week has been one of lasts. The last walk around the neighborhood with Yakira. The last puppy class. The last time to the local grocery store. The last time to work with Bill. The last time to go to church. Last sleepover. Last time having a lunch date with Bill.Then there are all the lasts that I didn’t realize were lasts when we did them. She has been so many places with us over the last year. Tomorrow marks one year since we first saw Yakira. Sometimes I get very sentimental and a bit sad but at the same time I’m excited to see what Yakira’s future will bring. We are having a farewell party for her on Sunday evening. Then we put her on the truck early Monday morning. This is all part of the puppy raising process. The good and the bad. So proud of the dog she has grown up to be. But also seeing her weaknesses and hoping that the change of environment and stress of this transition doesn’t bring out those weaknesses and make them a deal breaker. But also knowing that if they do, then being a breeder or a guide dog isn’t what is best for her future. 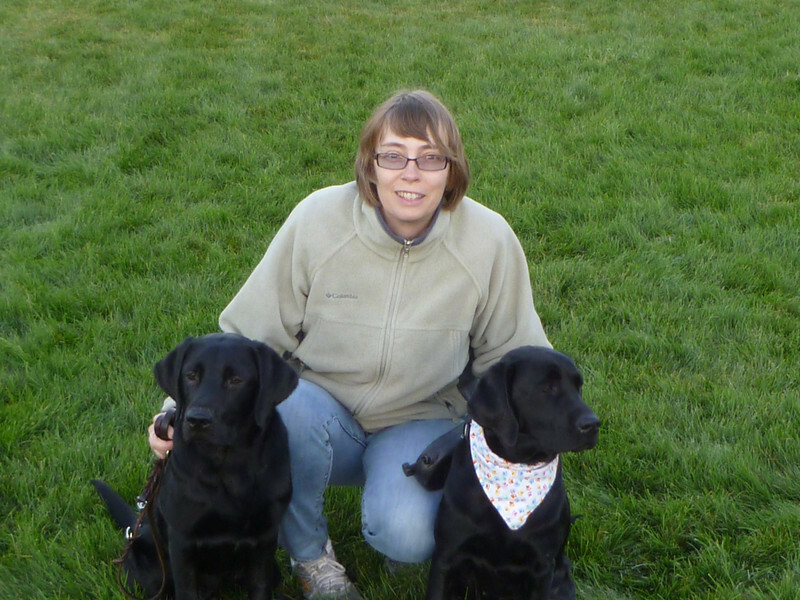 So that is the last of the sappy stuff about Yakira being recalled to Guide Dogs for the Blind. My plan was to get a new puppy in August but when the opportunity came to get a “Z” boy this past Friday I somehow couldn’t say no. So the 19th thing that I did to celebrate turning 50 years old is getting a new puppy. Zodiac is a fun mix of stubbornness and adventurer, with a bit of unexpected caution thrown in. He is happiest when he gets some freedom to explore his surroundings. Most of his complaining has been about being kept from learning about his surroundings. I told you about his stubbornness in last Friday’s post introducing Zodiac. Then there is his fear of his food bowl. It is stainless steel and when Zodiac is about 3/4 of the way through eating he has a tendency to step on the edge of the bowl, which flips it. This scares him so he backs off from the bowl. It is funny to watch him. He wants to go back to his food but he doesn’t trust the bowl to stay put. 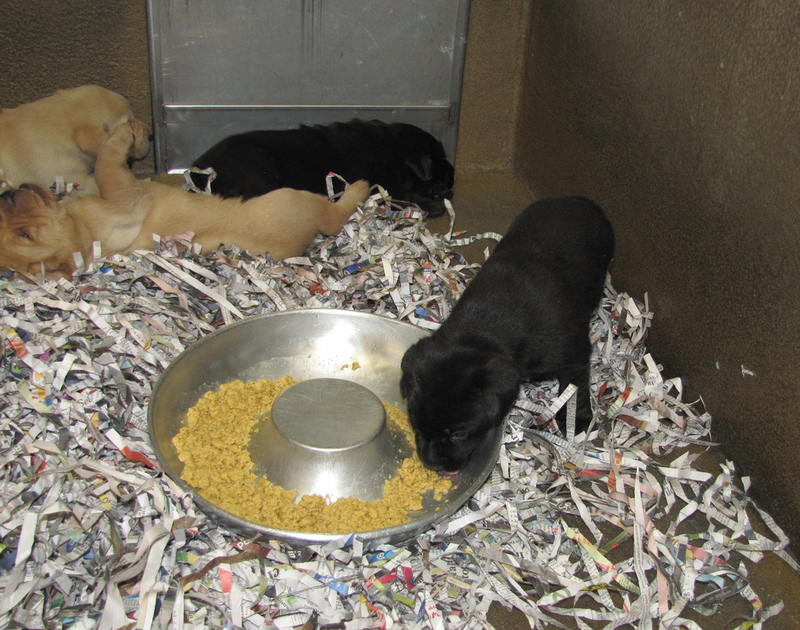 It helps to understand that in the puppy kennels they eat from a doughnut-shaped dish that they can step into. If you we hold the bowl he comes back to finish his meal. Such a silly boy. The first few days with a new puppy are the hardest. The whole relieving outside is new to them and puppies don’t have a clue what you are trying to teach them. But it gets better quickly once they start to catch on. In the meantime, I am getting up several times a night and making lots of trips out during the day. And there are still more accidents to clean-up than it seems possible. A really bright spot is how well Yakira and Zodiac are getting along. She is being a good mentor and learning to play to his level. They are so very cute together. What a fun way to celebrate turning 50! Last night I got a call from our puppy club leader telling me they had a puppy for us if we wanted it. 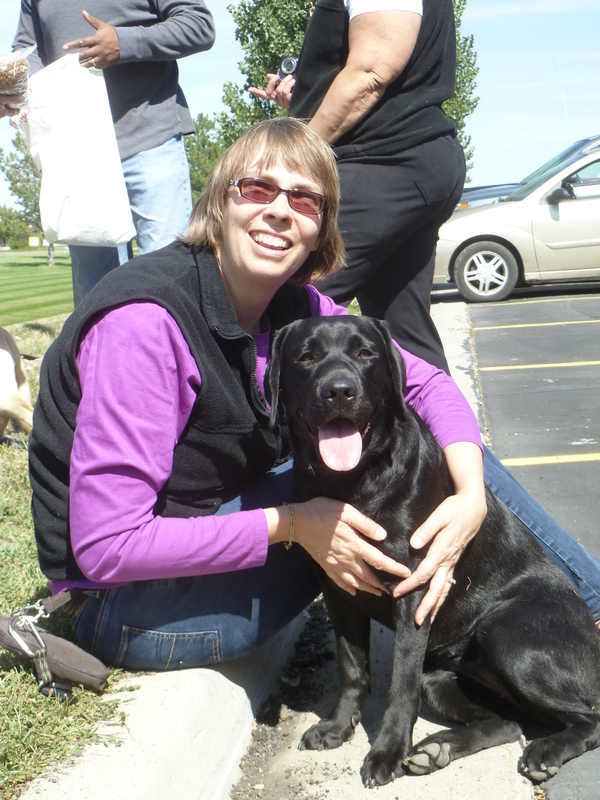 The plan was to wait until August but this black lab male became available at the last-minute. We had until this morning to decide and the answer is yes, we will take a puppy now! The puppy truck comes on Friday! I thought she said a “V” puppy and this morning I found out he is actually a “Z” puppy. I’m so excited. I was hoping for a “Z” puppy to continue the pattern: A (Apex), B (Banta), C (Casey) – then we skip to the end – W (Waffle), no X – GDB has never had an X litter, Y (Yakira) and now Z! I know that it is silly but it makes me giddy with delight. Here is a short video from a couple of years ago of the puppy truck getting loaded up in San Rafael, California. I think tomorrow they will be loading up our little Z-boy. One thing that has changed is that they pups are micro-chipped now instead of having tattoos in their ears. So as they load them on the truck tomorrow they will us a hand-held scanner to see which pup is which instead of checking the tatoo. Any guesses about what his name will be? For those who are new to this, each litter has a letter for all the names to begin with. The other complication is that the name can’t duplicate any working dog from GDB or current puppy in training or breeder dog. That group is about 3,000 dogs. That means the names sometimes get very creative. Here is a list of Z names for babies.